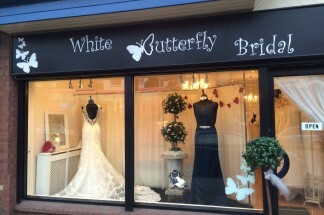 Welcome to White Butterfly Bridal on the Saintfield Road, Belfast where we pride ourselves on offering our brides a unique experience in the comfortable surroundings of our beautiful boutique. 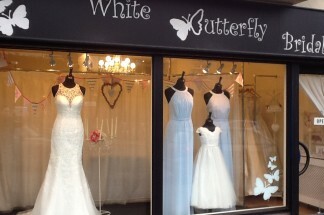 We will assist you in choosing your dream dress in a relaxed and friendly environment and make sure your time spent with us is enjoyable. 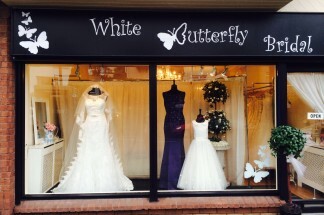 At White Butterfly Bridal we stock a carefully selected range of designer bridal gowns, with each designer having their own style and identity that ensures a diverse choice. The collections include structured strapless gowns, fluid delicate lines and chic tailored classics, all are simply beautiful. 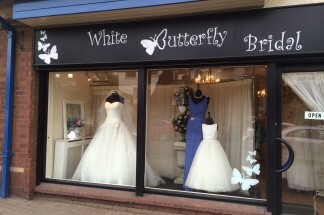 We look forward to showing all our brides-to-be our beautiful 2017 collections. 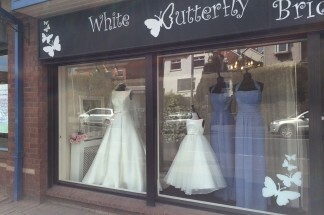 To view these fabulous gowns please contact us to arrange your personal appointment. 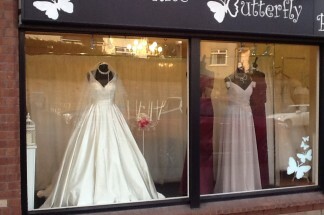 Our superb collection of designer bridal gowns and bridesmaid dresses have been individually selected from top international designers to fulfil every desired style and budget. 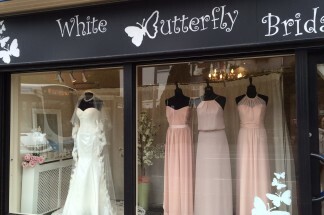 We offer a stylish range of modern and traditional designer bridal gowns combined with an unrivalled customer service in the luxurious surroundings of our boutique. Please Contact us for more information. 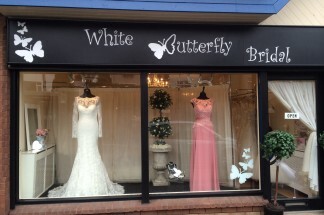 which neither sponsor nor are affiliated with White Butterfly Bridal.